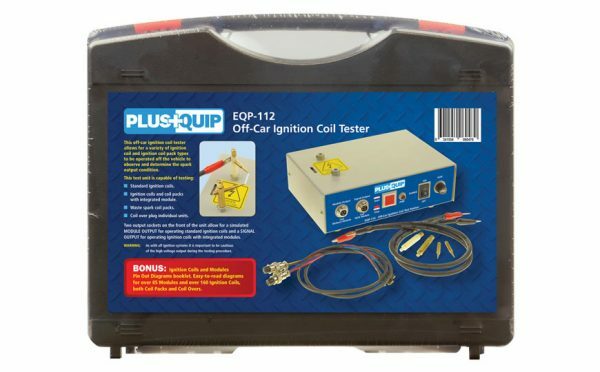 The EQP-112 Ignition Tester is a portable tool for testing a variety of ignition coils off the vehicle to determine if the output spark is acceptable. This off car ignition coil tester allows for a variety of ignition coil and ignition coil pack types to be operated off the vehicle to observe and determine the spark output condition. 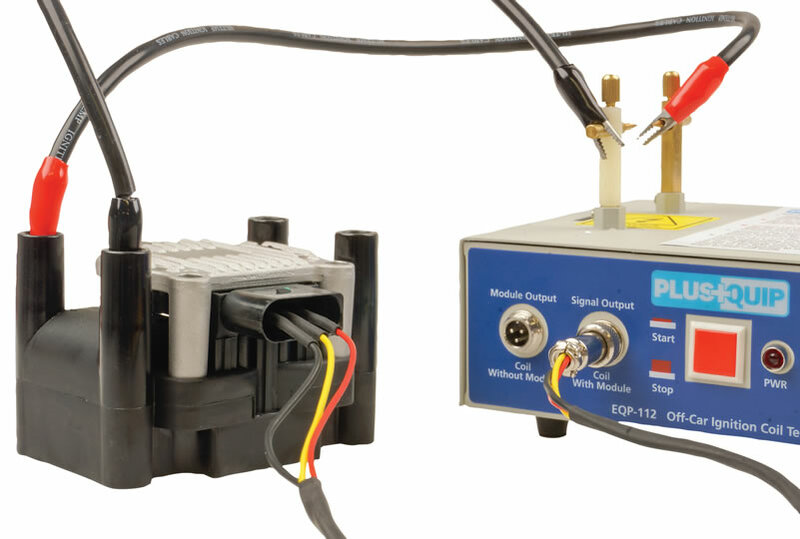 Two output sockets on the front of the unit allow for a simulated MODULE OUTPUT for operating standard ignition coils and a SIGNAL OUTPUT for operating Ignition coils with integrated modules. 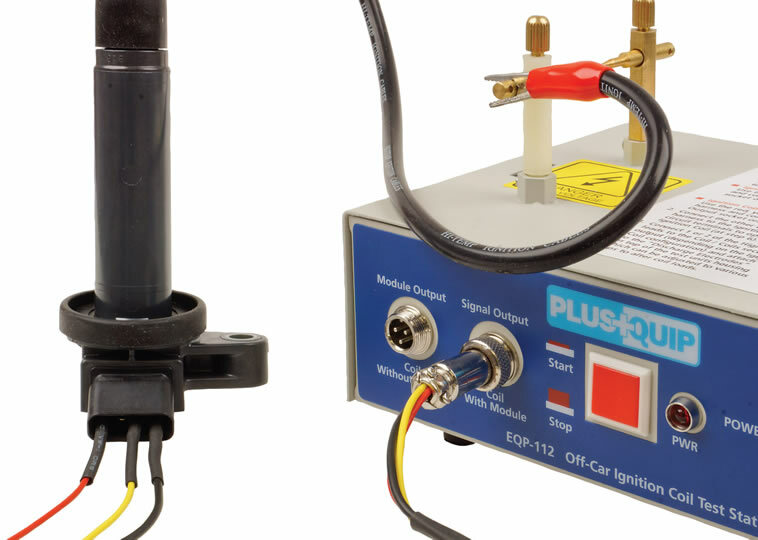 The sturdy, easily adjustable spark electrodes allow for a gap range to suit a variety of ignition coils and are easily visible during the testing process. 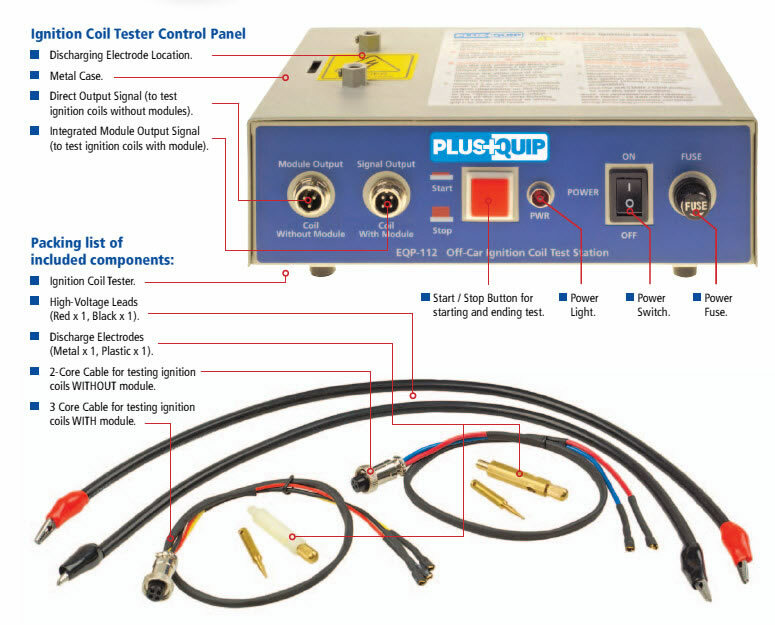 Output signal divided into “direct signal” and “within module” signal allows ignition coil with integrated module and without module to be tested; Discharging electrode spark gaps are easily adjustable. WARNING: As with all ignition systems it is important to be cautious of the high voltage output during the testing procedure.